AT&T customers interested in the LG G5 can preorder the modular smartphone starting today. The device will reach AT&T stores on April 1. AT&T is offering the G5 for $22.97 on an AT&T Next 24 installment plan (30 payments). Customers who want two LG G5 handsets can score the second for free as long as one of the two phones is activated on a new line and both are financed on the AT&T Next 24 plan. AT&T will reimburse the cost of the second phone spread out over the 30 monthly payments. The full retail price is $689. AT&T is also bringing back the LG Watch Urbane 2nd Edition with LTE. This wearable supports AT&T's NumberSync service and can be used with the customer's phone for taking calls and sending messages all from the same wireless number. AT&T will sell the LG smartwatch to customers for $99.99 with a two-year agreement when purchased with an LG G5 on an AT&T Next plan. Alternately, customers can purchase the watch for $0 down with 20 payments of $18. LG halted sales of the watch last year after discovering manufacturing problems. The issues have since been resolved. LG revealed the G5 today and it marks an impressive change of direction for the company in terms of design, materials, and functionality. The new metal chassis is impressive and so is the modular hatch that supports a handful of accessories. LG took a bold step forward with the G5, an Android smartphone that adopts a modular design for added functionality. The G5 shows LG thinking a bit outside the box in an attempt to win over consumers. Verizon Taking Preorders for LG Watch Urbane 2nd Ed. Following AT&T, Verizon Wireless today said customers can place orders for the LG Watch Urbane 2nd Edition with LTE. This wearable, delayed by several months due to manufacturing issues, has its own cellular connection to Verizon's network and can be used fully independent from a smartphone. 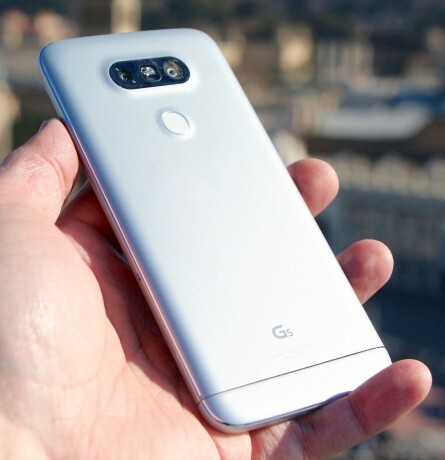 LG today announced its flagship handset for 2016, the G5. The phone represents a re-think from LG, which has altered the design and functionality entirely from earlier G models to help set it apart from competing phones.